2005- it’s crazy hard to believe that was 8 years ago. My first son was born early on that year so I spent most of the year in an early parenting haze, but the music of ’05 is still very memorable and helped energize me through those often sleepless nights and days. Listening to much of the music today- it feels both of a slightly different era and very much tied to the music of today. America has just seen the re-election of W. Bush and was in the midst of Hurricane Katrina and it’s aftermath by year’s end. The middle of the oughts saw the decentralization of the music business- away from terrestrial radio and MTV and toward artist’s websites, e fanzines, and influential music blogs like Pitchfork. As a result a number of bands on indie labels received great exposure that they likely would not have received previously. Digital music was also becoming increasingly prominent, with the iTunes store dominating the competition, along with many illegal free music sites allowing people to sample vast quantities of music, as they never had before. As a result, the walls separating musical genres began to come down and indie rock kids started listening to more dance music and pop, as well as metal etc… As someone who has always loved many different genres of music (at least since my later high school years) this change made and continues to make me very happy. Even though it wasn’t that long ago I wasn’t sure how 2005 would stack up against the other post-millennium years. I’m a big fan of that whole decade of music but the years tend to run together a bit because we don’t yet have much distance from them. Like most years I have reviewed for my blog, 2005 was better than expected. 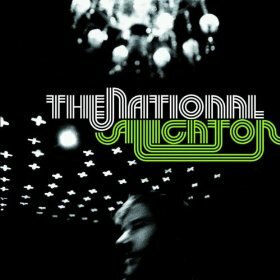 ’05 delivered three absolute classics, but then a slew (25 or so) very great to near classic albums. M.I.A.’s major label debut “Arular” is at the head of the pack of the 3 classics and its blend of world music, hip hop, pop & dance made her music the newest, freshest sound going. 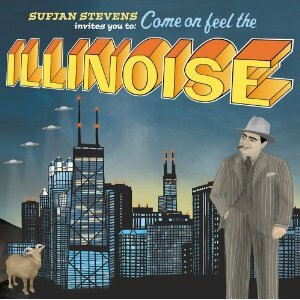 Sufjan Stevens 2nd (and last so far) State concept album “Illinois” is nearly perfect and still his best album by a mile. 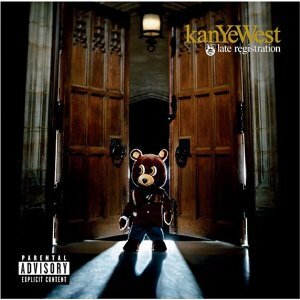 Kanye West 2nd album “Late Registration” bettered his great debut album and remained his best album until “My Beautiful Dark Twisted Fantasy” trumped it in the next decade. Rap & Hip Hop still dominated the commercial landscape in ’05. In addition to West, Young Jeezy’s “Thug Motivation” (his debut) was a huge success and cashed in on the coke-rap produced by rappers like Raekwon from the Wu-Tang Clan & Va. Beach natives Clipse. Clipse released their 2nd mixed tape “We Bought It For Cheap Vol. 2”, anticipating the onslaught of rap mixtapes to come once the genres commercial fortunes began to wane. Perhaps the biggest commercial story of ’05 was the emergence of Lil Wayne. 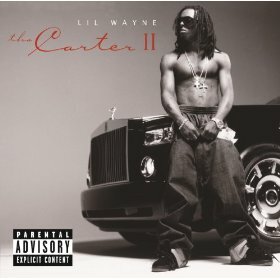 The New Orleans rapper had been around since his teenage years in the late 90’s, but his ’05 album “Tha Carter II” considerably upped his status and he was soon thought to be the best rapper in the game. 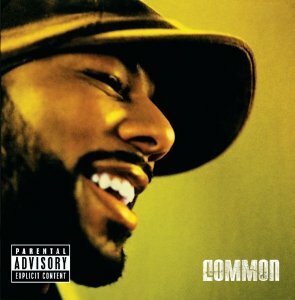 In Chicago, Common released his best album in years with “Be”, enlisting Kanye as a producer and guest rapper on many of its tracks. Though L.A. had certainly fallen by the wayside since it’s golden era of Tupac, Dre, Snoop & Deathrow Records, young rapper The Game released his debut “The Documentary”, containing the great single “Hate It Or Love It” with 50 Cent rapping the hook. In the dirty south longtime Memphis rappers Three-Six Mafia achieved their biggest success with “Most Known Unknown” which includes the awesome “Stay Fly” single. Pop music was in a fun place as well in the middle of the decade. Beyonce’s “Crazy In Love”, one of the biggest and best singles of the decade, released several years earlier made its producer Rich Robinson a hot ticket item. He produced two of 2005’s best singles- “1 Thing” by Amerie and “Get Right” by believe it or not Jennifer Lopez. J. Lo up until then had never made a song I would even call average. And she hasn’t made a good once since. I give all of the credit to the producer but “Get Right” still sounds like magic to me. Maybe even stranger, 1st American Idol winner Kelly Clarkson released the outstanding “Since U Been Gone”, which took a “Maps” (by Yeah Yeah Yeah’s) like riff and melded it to the perfect pop production machine helmed by Max Martin, who produced much of the teen pop music at the end of last century and the beginning of our current one. I never liked much of his stuff either, but with Clarkson he came up with a perfect song. 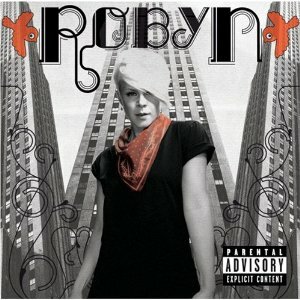 Former Swedish teen pop sensation released her self-titled debut album which took another two years to be released in the U.S. It’s one of the better pure pop albums I’ve heard in the last 20 years and her follow-up album even bettered it. 2005 also saw Rihanna’s album debut which included the still great singles “Pon De Replay” and “If It’s Lovin’ That You Want”. Madonna released her last great single to date as well with “Hung Up”. Electronic dance music, while not yet fully mainstream, was all over the place in ’05, but mostly in Europe and in the American underground. 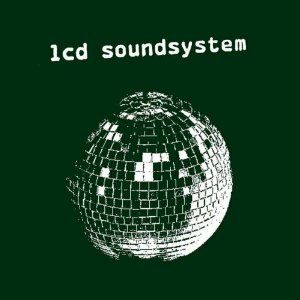 British/European acts like Vitalic, Goldfrapp, Broadcast, Jamie Lidell, Ladytron, Roisin Murphy, M83 & The Go Team released great stuff that year as did their Brooklyn DFA Records counterparts LCD Soundsystem and The Juan MacLean. Former Blue frontman’s fictional animated band Gorillaz released a successful follow-up to their 2001 self-titled smash with “Demon Days”- not dance or electronic music per se, but a hybrid of both along with rock & hip hop. As per usual the underground and Europe would permeate the culture enough to push similar sounding music above ground later. Whether or not you like the current state of EDM all of this stuff deserves credit for paving the way toward more mass acceptance of the genre. Indie rock was healthier and more varied than ever. Some of the biggest and best releases in my opinion were the 3rd New Pornographers album “Twin Cinema”, the 2nd Hold Steady album “Separation Sunday”- which really put them on the map, the much hyped self-distributed self-titled debut Clap Your Hands Say Yeah!, which they have yet to come close to equaling, the debut from Wolf Parade “Apologies to the Queen Mary”, Brooklyn’s the National whose slow burner “Alligator” eventually made them one of the bigger indie rock bands out there,and Sleater-Kinney’s swan song and nod to classic dinosaur rock “The Woods”. 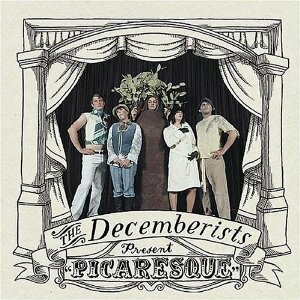 Also Portland’s theatrical/literary art rockers Decemberists released their best album to date “Picaresque”. 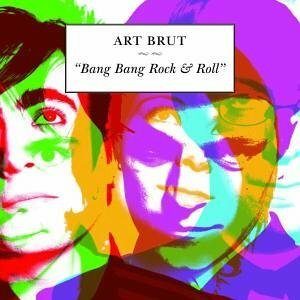 British sincerely ironic jokesters Art Brut’s debut “Bang Bang Rock N’ Roll” injected some punky sass into the scene. 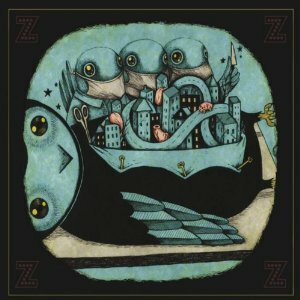 “Z” is still my favorite My Morning Jacket album, where the band’s tunefulness, chops & stretched out jams were at their peak and lowest amount of excess. 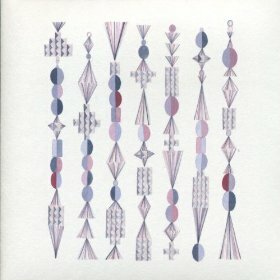 Austin’s Spoon, one of indie’s most consistently great groups, released another very fine release with “Gimme Fiction”. Franz Ferdinand followed up their great debut with a tight follow-up “You Could Have It So Much Better”. The Canadian collective Broken Social Scene followed up their classic debut with a self-titled second release. Death Cab for Cutie’s major label debut “Plans” contained some actual hits and good ones at that. The White Stripes “Get Behind Me Satan” was a bit of a let down after the awesome “Elephant”, but still contains its fair share of excellence. 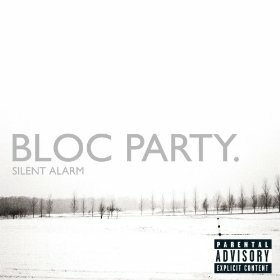 Gang Of Four dance-punk disciples Bloc Party released their debut “Silent Alarm”, another indie fan favorite. Experimental Brooklyn group Animal Collective released their first mostly song oriented album, the very well received “Feels”. They would continue to amass a larger following toward the end of the decade. Singer songwriters had some great moments as well in ’05. Fiona Apple released her long awaited third album after multiple delays. Though I consider it slightly weaker than 1999’s underrated “When the Pawn Strikes…”, it has hold up well. Fiona has a consistently strong discography. The freak folk movement was dying down a bit as a fad, but one of its head practitioners Devendra Banhart released its White Album in 2005 with “Cripple Crow”. It may be a bit long and scattered but does has a handful of brilliant moments. Gay New York City artist Antony Hegarty released “I Am a Bird Now”, a beautiful and tear jerking album that announced him as an artist to be reckoned with. 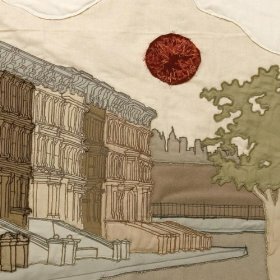 Conor Oberst’s Bright Eyes released his/their best album to date with “I’m Wide Awake, It’s Morning”, one of the better post-9/11 records out there. In ’05 Oberst was an ex-Nebraskan living in NYC for the first time as a young twenty-something. 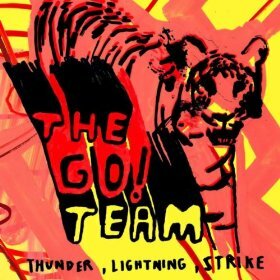 The album shows the sadness, confusion & exhilaration of living in the city during that time and is pulls plenty of political punches as well. 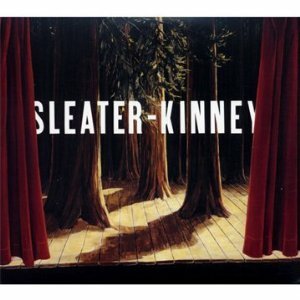 It, along with Sleater-Kinney’s “One Beat” got me through a time when it felt like the world was turning insane and turning on its head. 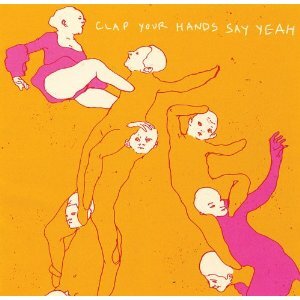 CLAP YOUR HANDS SAY YEAH!- CLAP YOUR HANDS SAY YEAH! 18. Sufjan Stevens- John Wayne Gacy, Jr.
5. Gorillaz- Feel Good Inc.
1. 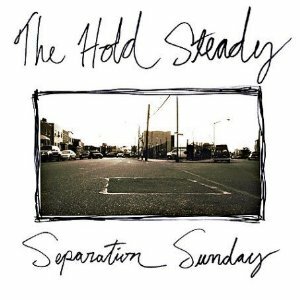 The Hold Steady- Hornets! Hornets!